Three days after Christmas, Greg Manker is looking for spinning rods for his sons Trey, 8, and Brady, 11, at West Marine’s new Fort Lauderdale superstore. Right now, however, the Manker boys — Dad included — are on the bridge simulator in the electronics department. It has more than 1,000 units and accessories, and the company says it’s the biggest in the world. “The kids are enjoying it, obviously,” says Manker, a Fort Lauderdale resident, as one of the boys spins the wheel of the simulator and the other works the dummy VHF. Manker likes the size of the store, which has 35,000 products. He likes its convenience — one-stop shopping — and likes the hands-on displays. “This is great,” he says. “It’s a Home Depot for fishermen.” The owner of three boats — a 47-foot Tiara, 20-foot Mako and 12-foot Nautica — he plans to spend a lot of time at the store. At 50,000 square feet, the superstore, which officially opened Dec. 7, is the largest boating supply store in the United States, perhaps the world — twice as large as any of West Marine’s flagship stores and five times the size of its standard retail outlets. It carries twice the inventory that its other flagship stores carry and five to seven times what a standard store stocks. Melchionna says his brother-in-law came from Port St. Lucie, 80 miles away, to see the store. “It’s the biggest in the world,” he says. West Marine doesn’t say that because the company doesn’t know whether it’s true, but others say so. Dan Smith, a cruising sailor from Germany, is making last-minute purchases — a chart light, a hatch support, holding tank fittings — before he, daughter Marita and wife Miriam set off for a month of cruising the Bahamas on their 47-foot Privilege catamaran. “I have never seen a store to compare with this one in Europe,” says Smith, who has owned a yacht charter company in southern France. Store manager Demi Warner says the superstore is double the size of the old one, but she has hired more than double the staff for the new store — 90, compared with 40. The superstore caters to all kinds of boaters. For sailors, there’s a rigging shop with 1,800 pieces of hardware and technicians who build rigging on-site and install it. For powerboaters, there’s an engine parts counter that carries twice the number of parts of any of its other stores. 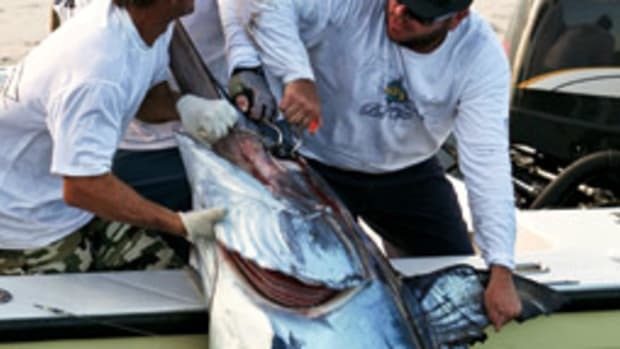 For anglers, there’s rods, reels and lures for saltwater fishing from Miami to North Palm Beach. 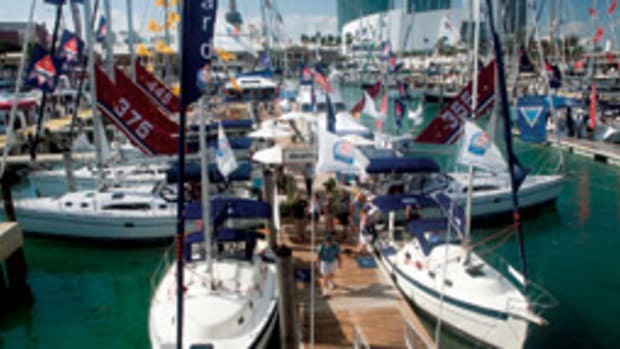 There are also plumbing, electrical and lighting supply departments; outboards; a megayacht chandlery; water sports and kayaking sections; 14,000 square feet devoted to footwear, apparel and accessories; and what the company is touting as the largest marine electronics department in the world, with a megayacht flybridge designed and built by Hargrave Yachts to display electronics and audio systems and two bridge simulators where customers can try plotters, radar and weather overlays. 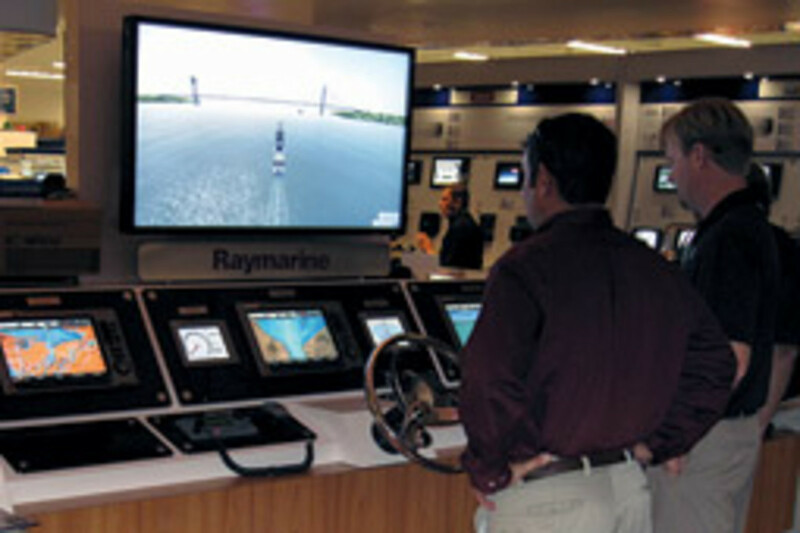 The store also has touch-screen video versions of the popular West Advisor so that customers can compare products and make better buying decisions, and displays that demonstrate how products work — for instance, how fast different-size pumps empty water from a tank and how boat lighting looks under water and in the cabin. John Busha, of Pembroke Pines, who owns a 29-foot Century, was watching a video about fuel additives. “I’ve got a problem with one of my motors,” he says. He thinks he needs new filters and an additive to remove water from the fuel, and he finds the additive he wants on the video. “Hopefully this will cure my problem,” he says. During an earlier visit, he bought a Garmin 4210 plotter with a g2 cartography card. The superstore “has everything I could want or need,” he says. 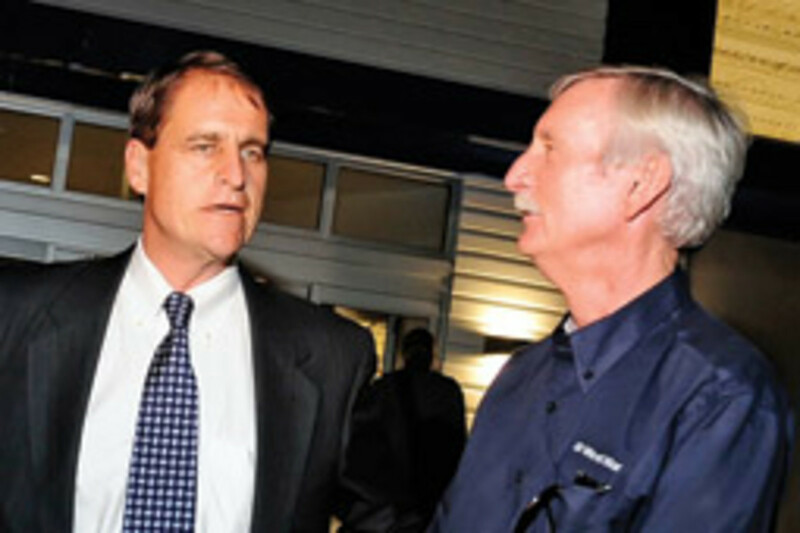 The plaudits must come as no surprise to West Marine CEO Geoff Eisenberg. Speaking at the grand opening, he said the superstore is the product of years of listening to what customers say they want in a store. He says the boating supply giant keeps its sights trained on both its customer and on the horizon, which helps explain the December grand opening of the Fort Lauderdale superstore in still-turbulent economic times. Recession or no recession, West Marine is moving forward with a strategy it adopted before the economy faltered — to own fewer but bigger stores. Executives say bigger stores maximize use of real estate, which is a major expense, offer boaters one-stop shopping and serve a larger area. 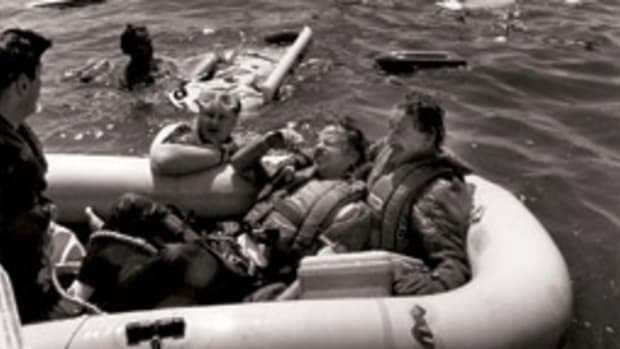 West Marine bought E&B Marine in 1996 and BoatUS’s retail and catalog divisions in 2003, which gave it multiple stores in many regions. Since 2002, the company has opened eight flagship stores of about 25,000 square feet in Newport, R.I., Brick, N.J., Woburn, Mass., San Diego, and Jacksonville, Sarasota, St. Petersburg and North Palm Beach, Fla. Six of those have opened during the last two years. The retailer plans more flagship openings — in Honolulu, Old Saybrook, Conn., and Clear Lake, Texas, plus an 11,000-square-foot standard store in Biloxi, Miss. — by the spring. Typically a flagship store replaces several smaller ones. Eisenberg calls the strategy being “hopefully, intelligently aggressive.” He has reason to be hopeful. 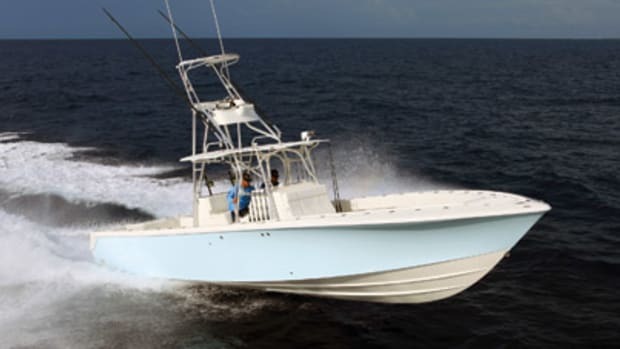 West Marine’s net income for the first nine months of 2011 was 30.6 percent better than it was for the same period in 2010. The company also was debt-free at the end of the first three quarters of 2011 and holding a record cash balance of $44.1 million and $98 million in borrowing capacity under a revolving credit facility. 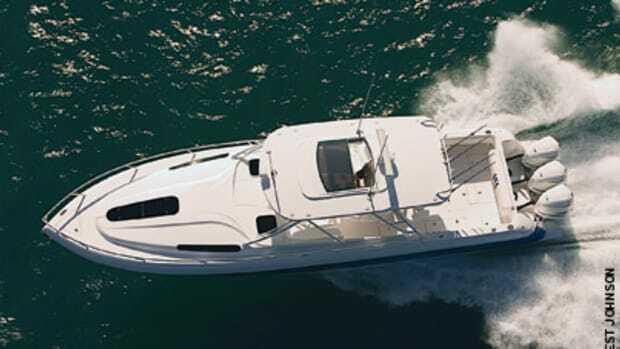 West Marine is advancing its plan from a position of financial strength. “You have to be in good financial shape to do this,” Eisenberg says. Eisenberg says there are some things that a successful company doesn’t change, even in a sour economy. One of those things is values. West Marine focuses on its core customer — the boater — and on serving that customer efficiently and well, he says. The other is vision. A company might modify its vision to reflect market changes, but it shouldn’t change dramatically, he says. 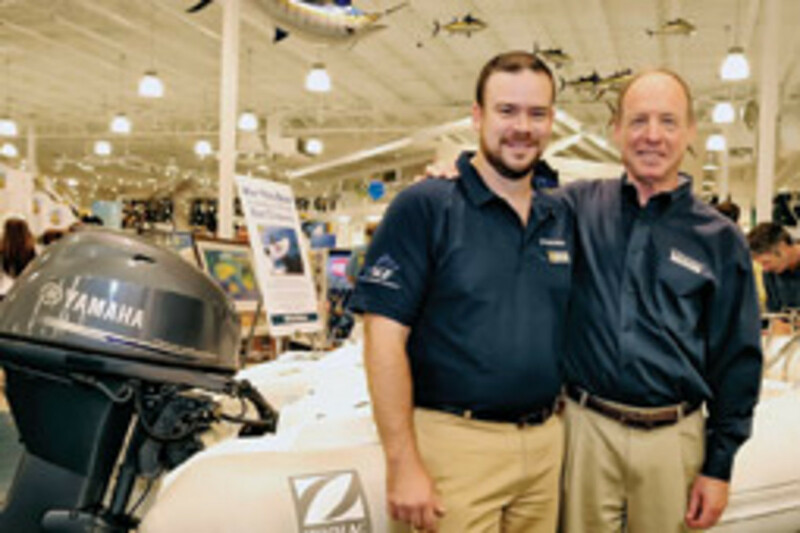 West Marine has closed stores during the recession, but it also has opened bigger ones in major markets, especially Florida, the nation’s largest boating state with a year-round season and 914,535 registered boats in 2010. 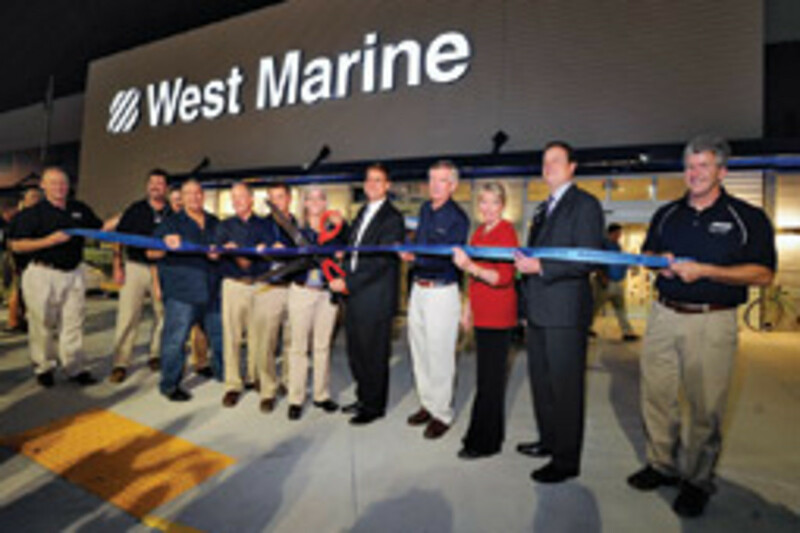 A quarter — 73 — of West Marine’s stores are in the Sunshine State. 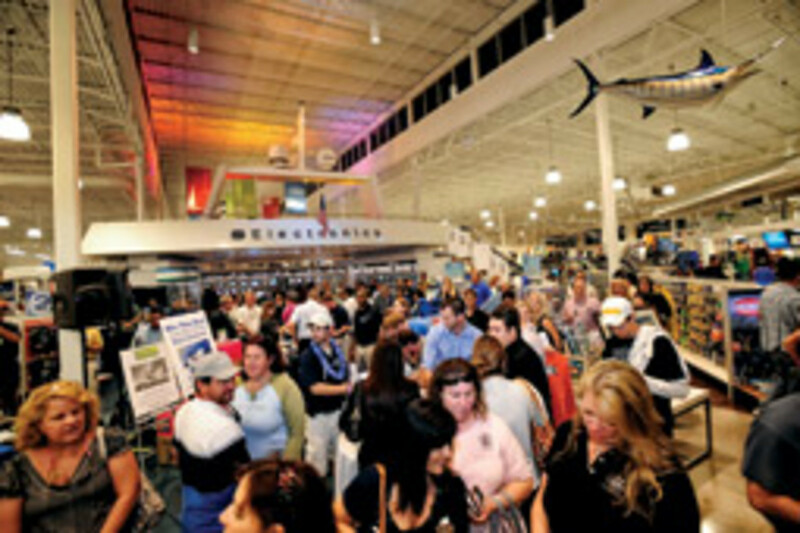 The retailer has been in Fort Lauderdale since 1992. The superstore replaced a store — about half the size of the new one — that was one of the marine supplier’s biggest. A West Marine store in north Fort Lauderdale remains open. Superstore manager Warner says that store has a “really strong customer base,” much of it from the Coral Ridge Yacht Club. “Folks love the staff in that store,” she says. 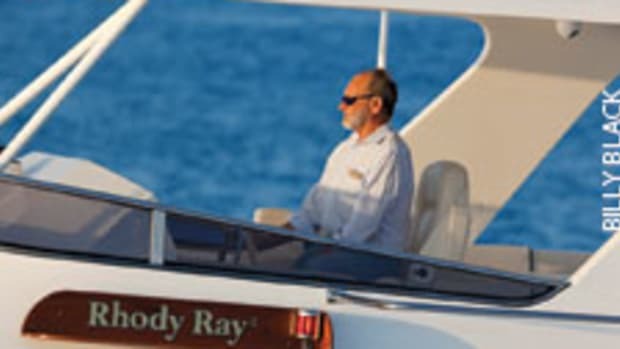 Also, Broward County alone registered more than 41,500 pleasure boats in 2010. “We feel comfortable investing here,” Eisenberg says. Eisenberg declined to say how much West Marine has invested in the superstore. 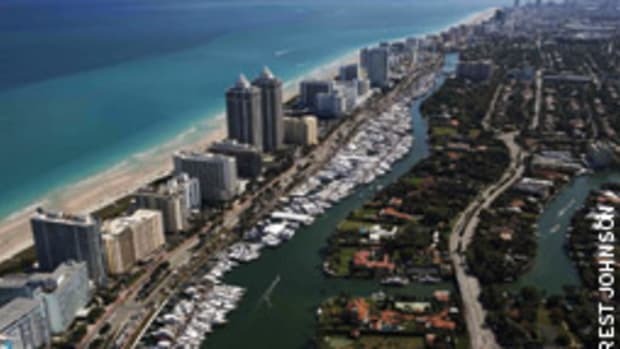 Fort Lauderdale-based Stiles Corp. bought and developed the 4.37-acre superstore property for West Marine, built the store, and has leased the land and building to the retailer for an initial 15-year term. CBRE, a Los Angeles-based real estate services company, was listing the property, building and lease for sale for $13 million in December. This article originally appeared in the Southern Waters section of the March issue.